Beautifully renovated highlands gem. Brick ranch has lovely new custom cabinets by vittitow (2012). Lifetime Gilkey Windows (2008). Champion Gutter and Maintenance free Soffit (2008). Roof (2006). HVAC (2006). Basement (2005) and Bath (2011) remodeled. Nice garage and huge storage building for a RV or Boat. Hardwood floors and much more. Special financing incentives available on this property from SIRVA's preferred lender. Bon Air is a subdivision within the city of Louisville, Kentucky. There are currently 1 Homes for Sale within Bon Air, with asking prices ranging from $188,000 to $188,000. The average list price per square foot of the available inventory in Bon Air is $98, which is below the Louisville average of $156. The Average Sales price of all sold real estate in this subdivision for the past year is $216,550. Recent comparable homes have been selling for 99.98% of their asking price. Waterfront homes represent 0.00% of the available Bon Air inventory. The population of Louisville, according to the 2010 Census, is 597,337. The total number of households in the zip code of Bon Air is 10,614, with an average household size for of 2.09 people. The total number of renter households within the zip code of 40205 is 2,793, which means that 73.69% of households in this zipcode are owner occupant households. 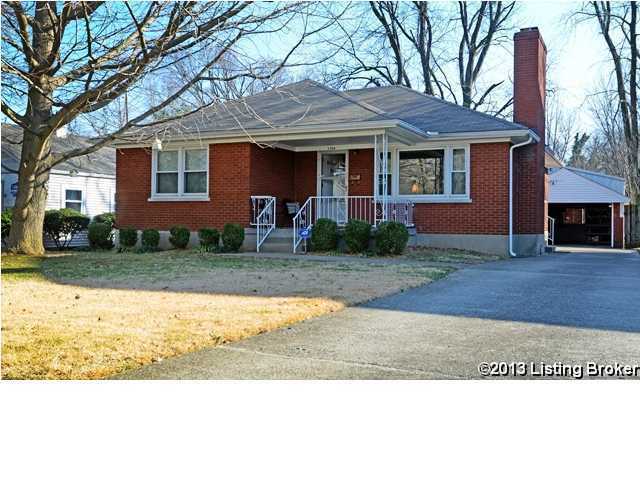 LISTING PROVIDED COURTESY OF Tim Roe, Coldwell Banker McMahan Co.
2504 Hawthorne Ave, Louisville KY 40205 is a Home, with 2 bedrooms which is recently sold, it has 1,675 sqft, 0 sized lot, and 1 Car Garage parking. A comparable Other, has bedrooms and 0 baths, it was built in and is located at and for sale by its owner at $ 0. This home is located in the city of , in zip code , this County Other, it is in the Subdivision, and Highlands are nearby neighborhoods.